SHOWING YOUR CHILD THAT SPORTS CAN BE FUN! - Energetic Juniors - Contact Us! SHOWING YOUR CHILD THAT SPORTS CAN BE FUN! Engage in simple sports games, and engineer the outcome so your child can win most of the time. Children also need to understand that they can’t always win whatever game they are playing. Soccer would be a great game to do this with, there’s very little equipment involved and you can easily adapt the rules to the environment. If you have the space indoors you can use a sponge. There could be many reasons your child may not be interested in sports. Does anyone in the household have an interest in sports? Do his friends show an interest or participate in sports? ; What happens in his school gym class when he participates in sports, is he less skilled than most children in his class? 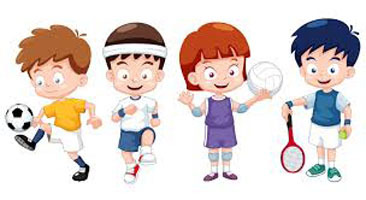 Most importantly, help your child find a sport that they will enjoy and have FUN.